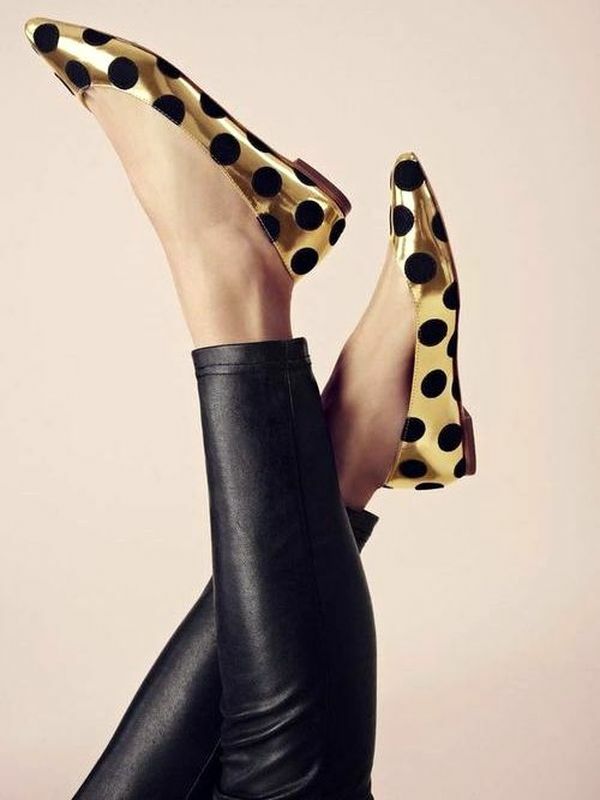 Polka Dot Flats For Trend Lovers! Have you been looking for a proper pair of flat hat you can grab on anytime for any occasion? Well, you don’t have to worry anymore because there is one specific type for you and that is polka dot flats! 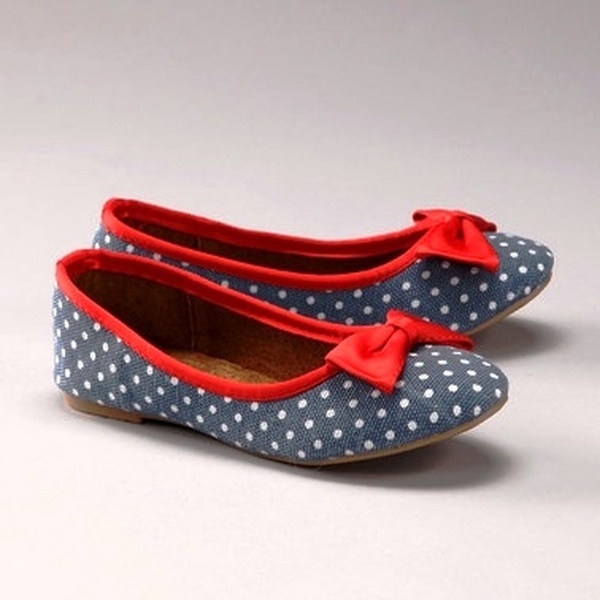 These flats are adorable, fancy and elegant which is obviously rare to find in one single type of shoes. You can decide how you want to wear these flats and match your outfits accordingly to get the best out of it! 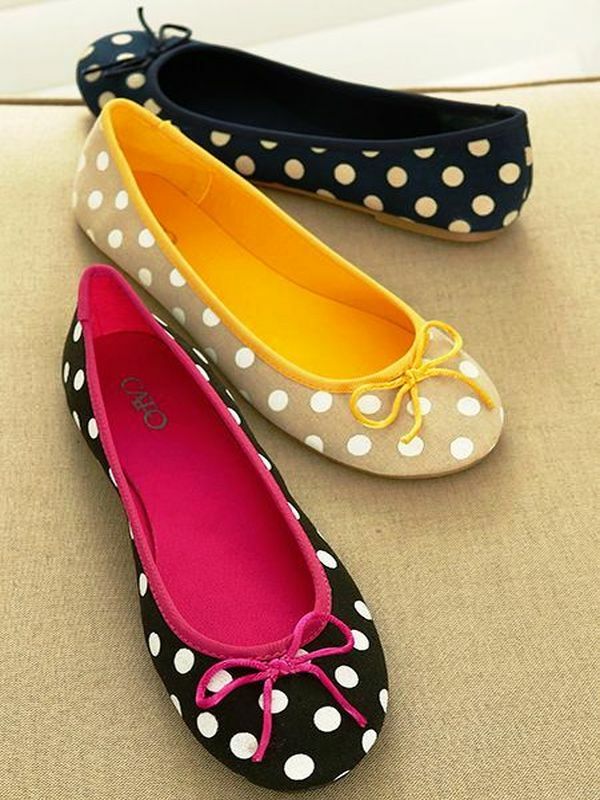 Polka dots flats are the stylish version of flats which will keep your feet comfy for the whole time. Though the heels with these prints are more popular because of their trendy style, but you can still hit the fashion by wearing this print in flats. Polka dot prints are considered as a timeless fashion as they keep coming back to the trend repeatedly. So these pair of flats is also a timeless addition to your closet and you will not need to worry about keeping it left behind for a while. When you are thinking where you can wear these shoes, then you must know that you can wear these shoes at any season for any event. For example, you are having a girl’s night out and you want to pull on these flats. If you are wearing it for a daytime and you flats are in a darker shade, choose some light colored clothing from your wardrobe. A bright colored shirt or a tee and a shorts or a skirt can easily match with these flats. A straw bag or hat, additional accessories will also go nice and chic with these pair of shoes. You can wear this outfit for the whole day and still be in style with all of it! Even if you want to wear them for a cocktail party, choose a color of your choice such as red or blue or anything bright goes with your skin tone. Choose the dress in plain colors and pair it with a red pair of polka dot flats. Just give it a try and you will see how fabulous it will look! It may seem confusing that if you can wear stripes or any other patterns with a polka dot flats. If you can match the colors and keep the shades relevant, then obviously you can! But wearing polka dot dress with polka dot flats will need extra attention in choosing the colors. Have dark shades on both of your dress and flats when you are wearing them together. Choosing a random color for polka dot flats is a tough part to select. But you always have some common colors to choose such as black and white, beige and black, red and black, yellow and white etc. Keep the colors neutral if you want to wear it for everyday use. Neutral colors are also stylish additions with these adorable flats. Those who want to wear these flats during winter; they can easily wear them by matching the flats with a perfect pair of tights! A pair of skinny jeans, polka dot flats, a shirt or tee beneath with a cardigan or a jacket over it can be a trendy outfit for the cool weather. You can also wear them with your skirts by matching the right tops for the whole outfit. Pleated skirts are one popular thing to wear with flats and why not give it a try with polka dot flats? You can make a cute outfit by grabbing your white button down shirt, a nautical striped pleated skirt and a pair of polka dot flats. Maintain a theme color on the whole outfit to get a gorgeous look for the whole day! 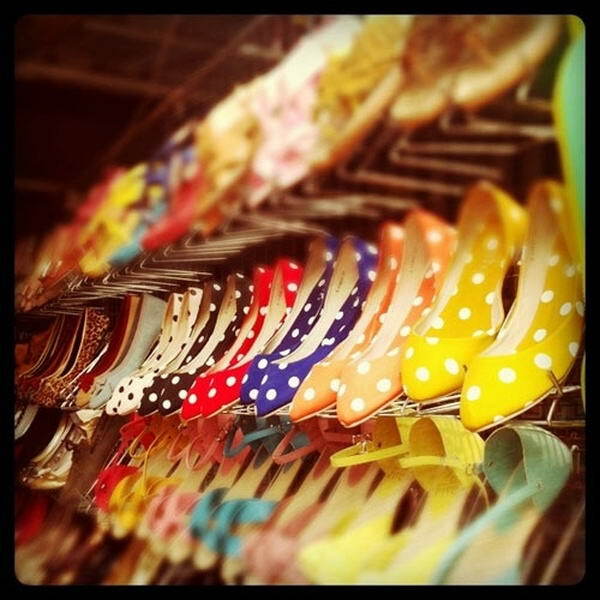 So have you selected the colors for your polka dot flats? Choose the right colors for yourself and buy the best one of them to wear them all around the year.